Watch The Good Wife Season 7 Episode 19 online via TV Fanatic with over 10 options to watch the The Good Wife S7E19 full episode. Affiliates with free and paid streaming include Amazon, iTunes, Vudu, YouTube Purchase, Google Play, Hulu Plus, Amazon Prime, CBS All Access, Verizon On Demand, and CBS All Access (Via Amazon Prime). 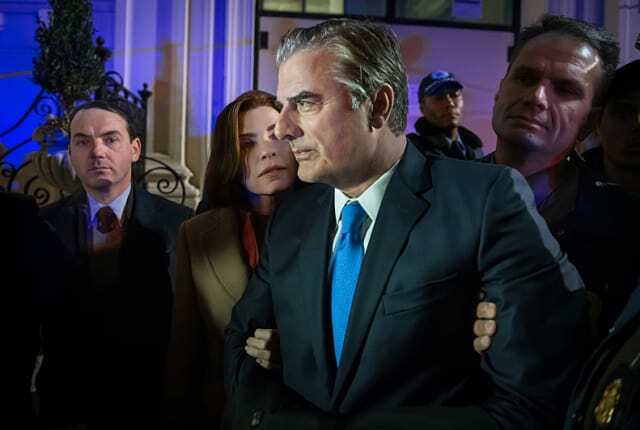 On The Good Wife Season 7 Episode 19, Peter faces possible arrest while Alicia and Lucca fly to Toronto to represent an NSA agent detained by customs. I don't like Canada, it's too clean. I always want to litter here. Permalink: I don't like Canada, it's too clean. I always want to litter here. Jason: Your phone has been ringing. Alicia: I'm throwing it away. Permalink: I'm throwing it away. The Good Wife Round Table: Will Peter Take the Deal?